Viscoelastic stiffness is elevated in patients with higher parkinsonian rigidity. The values of viscoelastic stiffness decreased due to alarming signals. Paradoxical kinesis is accompanied by decrease of muscular rigidity. Background: Patients with Parkinson’s disease can show brief normalization of motor activity in response to intense external stimuli – a phenomenon known as paradoxical kinesis (PK). The purpose of the present study was to examine the effect of alarming auditory signals on the level of viscoelastic stiffness of skeletal muscles as an indicator of parkinsonian rigidity. 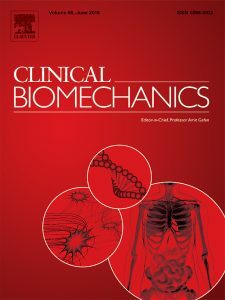 Methods: Myotonometry was used to determine the changes of viscoelastic stiffness of skeletal muscles in ten patients in an advanced stage of Parkinson’s disease, treated with deep brain stimulation, and ten healthy controls. The measurements were repeated and compared during the stimulation-on and stimulation-off periods, with and without auditory alarming signals. Findings: The mean values of stiffness measured in the stimulation-off phase (370.4 N/m) were significantly higher than the values obtained in the stimulation-on phase (339.2 N/m) (q = 6.05; P < 0.01) but also in the stimulation-off with alarming signals phase (349.6 N/m) (q = 4.04; P < 0.05). In the normal controls, exposure to the auditory alarming signals did not change the values of viscoelastic stiffness. Interpretation: These findings demonstrate that the phenomenon of paradoxical kinesis is associated with the changes of muscular rigidity in parkinsonian patients. Results from the study may help to establish new strategies for addressing motor disabilities in patients with Parkinson’s disease. The results indicate that the phenomenon of PK is associated with the changes of muscular rigidity in PD patients. Additional larger-scale studies are needed to confirm and further assess the efficacy of auditory cueing but the observed effects might help to establish new strategies for addressing motor disabilities in patients with PD.